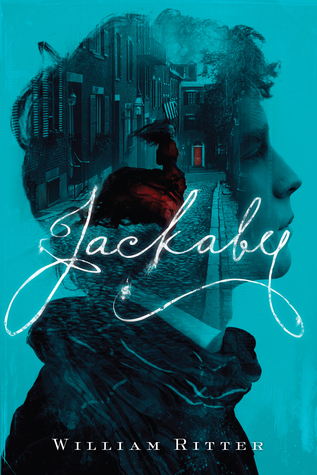 Jackaby was one of my most anticipated 2014 releases. It has a beautiful cover, a great blurb, and honestly just sounded so good. A paranormal Sherlock Holmes? Count me in! Abigail Rook doesn’t want to live a life of pretty dresses, but one of adventure and excitement. That’s how she ends up on a different continent, penniless, looking for a job. 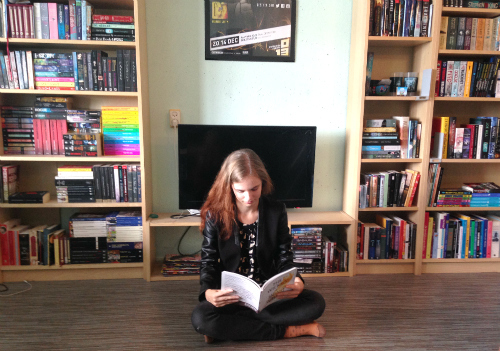 She finds employment by the eccentric Jackaby, a young man who solves paranormal mysteries. It’s clear that Mr Ritter is an absolute fan of old detectives. There are countless allusions to the grandfathers of the genre, including to Poe (there is both a character named Allan, as well as one named Dupin). Ritter knows his source material, but that is also his greatest weakness. Jackaby as a character is described as “Sherlock Holmes meets Doctor Who”, which is exactly who he is. He is simply a mash-up of the personality of these two pop-culture heroes, and he never breaks from the mould into becoming a character of his own. He struts around like the Doctor, and deduces like Holmes. There isn’t more to him than this flat characterisation. Abigail herself isn’t much better – like many detective sidekicks she is simply a foil, a stand-in for the reader so we can enjoy the work of the detective in her place. There is a shallow back story that never fully takes form, and she’s hardly an acting character at all. Mr Ritter deserves a cookie, however, for writing a story with a male and female character in close quarters to each other without there being any romantic feelings between them. On a sentence level Jackaby is fantastically written. I think this is where Ritter’s expertise shines most. He has a very convincing 19th century voice, something that isn’t easy to accomplish. He also writes entertaining banter and seems to have a great imagination for mythological beasties and paranormal occurrences. I quite liked this debut, because in the end these archetypical characters are very entertaining. It took a bit to get used to the fact that Jackaby investigates brownies and trolls instead of normal human beings, but when I got into the story, I enjoyed the ride. Jackaby wasn’t exactly what I was expecting, but I will read the next book.